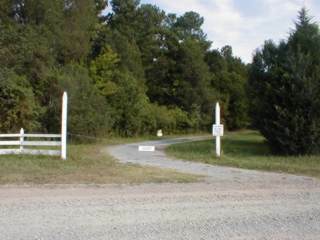 Look on the NORTH side of the road for this Main Gate to Moorefields. For event parking, drive to the inner fence gate. Please park on left in the grassy lot, and walk up to the house.